Dr Hayman is passionate about nutrition and exercise as fundamentals of good health, as well as the importance of stress reduction in our daily lives. Her busy family practice has been successful in helping people overcome anxiety, fatigue, cancer, heart disease and gastrointestinal complaints. In addition to Live BloodH Cell Analysis she is certified in and practices IV therapy and Chelation. Naturopathic Doctor Neha Sharma practices family medicine, with a special interest in women\’s health, mental health and pediatrics. Through individualized treatment plans, she strives to treat, educate, and lead her patients to achieving a balanced lifestyle, and long term wellness. Sherina believes in individualized care, and draws from science and traditional wisdom to address the root cause of disease while providing safe, gentle and effective healing to the whole person. She utilizes a range of naturopathic modalities including: Clinical Nutrition, Acupuncture and Traditional Chinese Medicine, Botanical Medicine, Homeopathy, Lifestyle Counseling as well as Physical Medicine. Using these tools, she works to support the body’s natural healing process to achieve optimal physical, mental and emotional balance and health. I am interested in working with any condition presented to me. 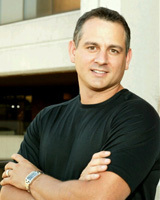 My major focuses are lifestyle, proper nutrition, counselling, acupuncture, herbal medicine and proper supplementation. My favourite part of my job is finding out what is wrong with someone after they\’ve been to several Doctors who haven\’t been able to figure it out. 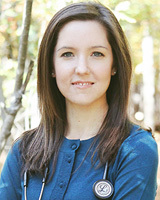 Andrea Hilborn is a naturopathic doctor working at Kingston Natural Route Health in Kingston, Ont. 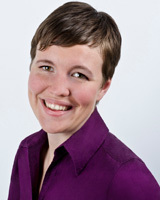 She also write a bi-weekly natural health column for Kingston’s daily newspaper. 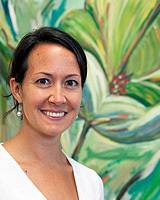 Liat combines her passion for natural health with her strong research skills to develop comprehensive treatment plans. Liat’s special interests include but are not limited to pain management including fibromyalgia, autoimmune conditions, digestive concerns including irritable bowel syndrome and inflammatory bowel disease, women’s health issues, high blood pressure and high cholesterol. Liat uses a range of treatment modalities including nutrition, homeopathy, herbal medicine, nutraceuticals, as well as acupuncture to improve the health of her patients.